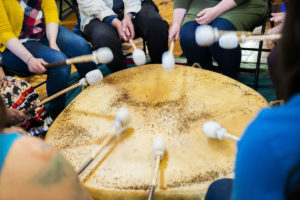 Seattle teacher Donna Roberts is excited to see the rebirth of the Tsimshian culture in her hometown of the Metlakatla Indian Community in Alaska. Activities such as native dances, galas, and raising new totem poles have resurged in the Tsimshian community — a stark contrast from the cultural amnesia of the previous generations. A sense of pride and a hunger for culture was revitalized, according to Roberts. But within this resurgence in Metlakatla, there was still a significant missing element. “They realized they didn’t know their language,” said Roberts, 72 and one of the last fluent speakers of the tribe’s language, Sm’algyax, which is also spelled Shm’algyack by the tribe’s elders. Roberts, who has lived mostly in Washington and Oregon for the past 30 years, returned to Metlaktla in March to teach the language to the tribe’s elementary school students, in an effort to preserve it. 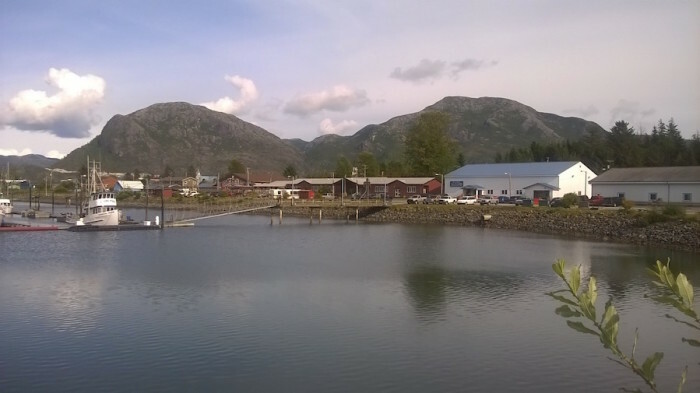 Roberts’ hometown of Metlakatla is an island community with a population of approximately 1,500 people and virtually nothing else. 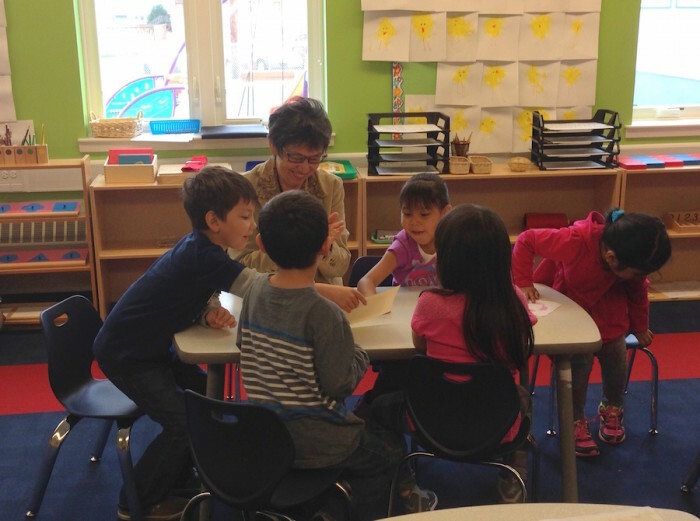 Roberts’ three-year project in the Annette Island School District is funded through a new $1 million grant from the Alaska Native Education program. With the help of the grant, the school district requires all of their students, ages three through fourth grade to learn Sm’algyax. Roberts says their main goal of preserving the virtually extinct Sm’algyax is to give the Tsimshian children an identity of who they are. “If you know some of the words that were spoken in the language that gives you a clue to how they used to think. And if you can get a grasp on how they used to think, you get a better grasp on what their values were,” Roberts says. The struggle to keep languages alive is global, but the Pacific Northwest, including Alaska, Washington and Oregon, is a major hotspot for disappearing languages. Recently, the last native speaker of Eyak, an Alaskan Native American language, died in 2008. By the year 2020, 88 percent of Native American languages will be extinct, says Stephen Neyooxet Greymorning, Arapaho linguist and professor of Anthropology and Native American Studies at the University of Montana. But while efforts in reviving culture and history have progressed in the past few years, language is the real core of who a person is, he says. 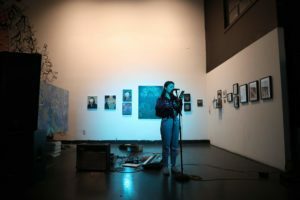 “The problem is that you will have people who will descend from an ancestry, but without the language, you will get a surface level of the culture,” Greymorning says. Sm’algyax has fewer than several hundred native speakers among the Tsimshian people of Alaska and British Columbia, according to linguists. There was a tremendous loss of culture and language in previous generations, when Natives were made to feel ashamed of their Indian heritage. 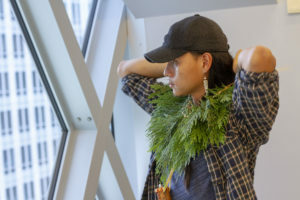 “That shame and self-hatred has stifled any desire to pass the language down to the next generation,” Gavin Hudson said in a speech on the state of the Tsimshian language given this past January. 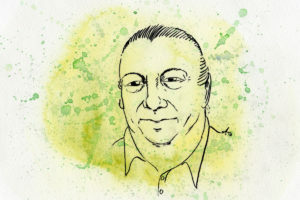 Hudson is the chair of the Haayk Foundation, a nonprofit in Metlakatla that aims at revitalizing the Tsimshian identity. He also acts as the coordinator of the language grant that is employing Roberts. For more than two decades, Roberts has been working with tribal elders trying to prevent that loss. When Roberts’ first granddaughter was born 24 years ago, she realized that it wasn’t going to be basket weaving or tribal dancing that showed her granddaughter where her heritage came from. It was going to be their language, she says. 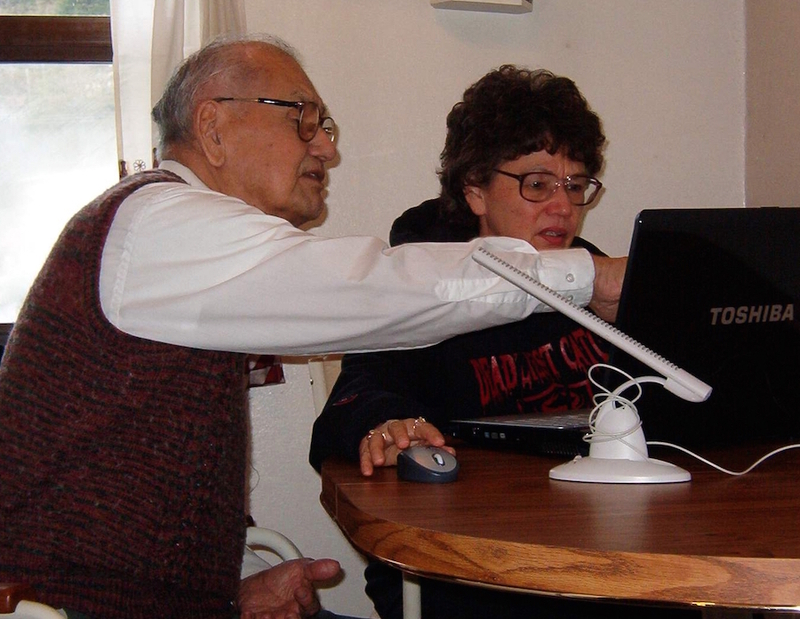 In response, Roberts and her husband developed an online curriculum called “Shim-al-gyack made easy.” It featured a talking dictionary, which was created in part with the elders of the Tsimshian tribe. Roberts’ project in Metlaktla specifically addresses younger children in the public schools, because the younger the child is, the easier it is to learn a language. Roberts teaches Sm’algyax to three to five year olds for 30 minutes for five days a week. 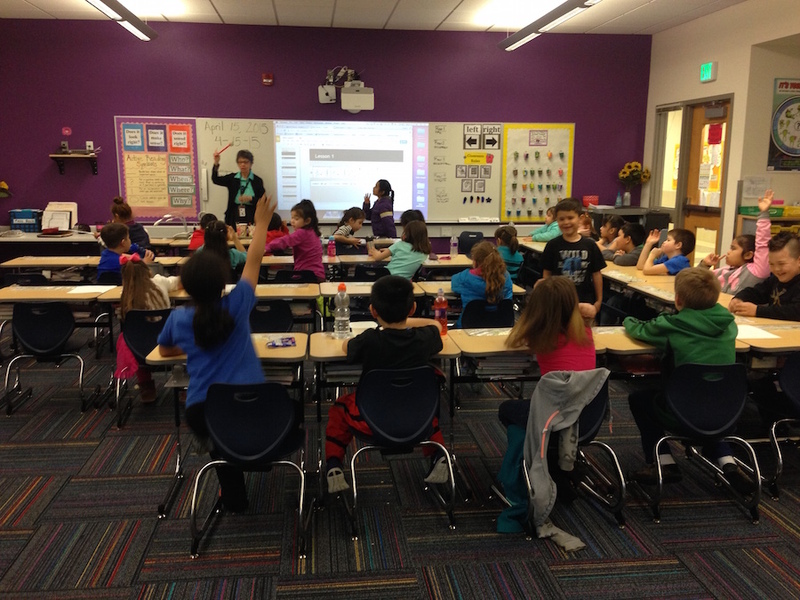 She also teaches the language to first through fourth graders once a week. Roberts applies the methods of Total Physical Response, which relies on using the body and acting words out. She is also using Greymorning’s methods of storytelling and pictures as inspiration. The teaching methods are geared towards how a young child would learn – they don’t speak, yet they understand, she said. In addition, these young members of the Tsimshian tribe don’t carry that same sense of shame the generations before them did. Project supporters say it’s important for the Tsimshian identity to have a living, vibrant language for the culture to keep growing. 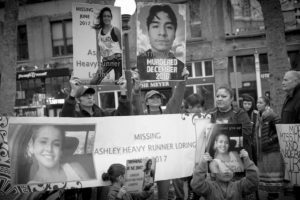 Tags: Annette Island, David R. Boxley, Donna Roberts, Duwamish, Gavin Hudson, Metlakatla, Native Americans, Sm'algyax, Stephen Neyooxet Greymorning, Tsimshian. 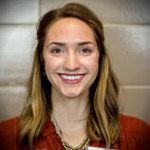 Ashley McCuen is a student at the University of Washington studying Journalism and English. Between cups of coffee, she enjoys telling people's stories and planning trips abroad. Isn’t it xenophobic to try to preserve your culture and identity? I thought we were all supposed to embrace the loss of our local cultures and sacrifice them on the alter of inclusion. These people should be happy their culture was destroyed because now they aren’t oppressing anyone by excluding them. My understanding of the globalist PC left is that we should all be happy that globalization is creating a single global culture by destroying the local and the unique. This article contradicts other articles in which other groups try to preserve their cultures. So what is the politically correct way to preserve your local culture? It seems that only certain people have the right to preserve their culture under the arbitrary rules of PC. Can the PC folks please explain what the universal rule is? Great article and so good to see the fine work being done to revitalize the Sm’algyax language.